Klikněte na fotografii a zobrazte všechny dostupné fotografie k Apartamento De La Sierpe. 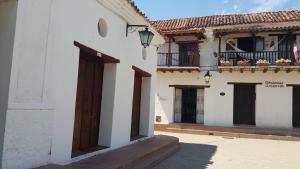 Apartamento De La Sierpe is situated in Mompos. The property has river views. This apartment is fitted with 1 bedroom, a living room and a fully equipped kitchen. A flat-screen TV with satellite channels is offered.